I'm excited that Alee McLaurin was able to help me get into my new Surburban! He is very professional and very knowledgeable of his products. Please visit Rick Hendrick Buick GMC and make sure you ask for Alee McLaurin! Once again thank you! Luis Gutierrez was my client advisor, and he was very helpful. Walked me thru while process , had a lot if questions and he helped thru it all. Would definitely recommend him and his staff. Very nice and helpful. Excellent service soon as you walk inside. Cam jackson treated me like family instead of a customer. If you in need for a vehicle call them up they got you. Tyler was excellent in helping us pick out a vehicle. She answered all our questions and made it a good experience.. The other sales staff was kind and helpful whenever we needed something. The salesperson Luis Gutierrez was very knowledgeable and provided excellent customer service to my husband and me. The process was very streamlined and uncomplicated. I only have great things to say about my experience buying a 2019 GMC Sierra last week. I worked with Donny Robertson and he was awesome! There were two trucks that I was interested in and he did a great job helping me work through making the right decision. 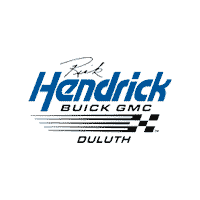 I highly recommend Rick Hendrick BUICK GMC and equally recommend teaming up with Donny! I purchased a car from Donny Robertson, and he treated me like gold. Donny was very courteous and professional. He is a true Buick expert. Donny did not rush me and he took his time and showed me all the features of the Enclave. The finance manager Austin, was also very freindly and knowledgeable. I will definitely be coming back for my next purchase.